Hyde Bellagio is located on the water in front of the Bellagio fountain show. It features one of the best views of any nightclub in Vegas. The Hyde Bellagio Guest List features an open bar for girls. Girls get free Vodka and Champagne from 10:30pm-12:30am every night. Hyde is a favorite spot among locals. The hip hop and top40 vibe and free drinks makes it a fun and familiar refuge from the more touristy venues. The Hyde Bellagio Dress Code is a blend of trendy and formal. Attracting both the affluent clientele of Bellagio and LA party people familiar with the Hyde brand, the venue features a blend of cool and classy. For girls, hip or dressy works. Your best Vegas club dress and heels or a stylish pairing of jeans and flats will look fine. For guys, a button down a jeans works fine, but more risque fashion forward is welcome. What is the music like at Hyde Bellagio? Hyde is considered “open format,” but on any given night you will hear mostly hip hop and top40. Hip hop fans will have a great time at this spot. Hyde is home to some of the best open format and SKAM artist DJs. DJ Five, DJ Crooked, Eric D-Lux, DJ Skratchy all perform here regularly. 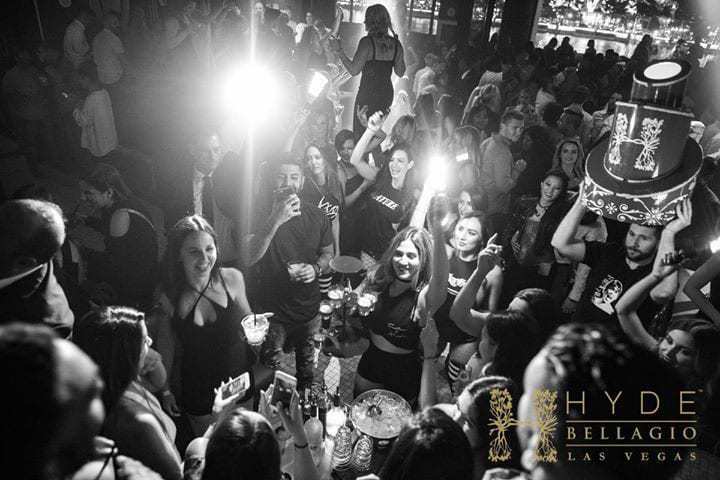 What is the crowd like at Hyde Bellagio? 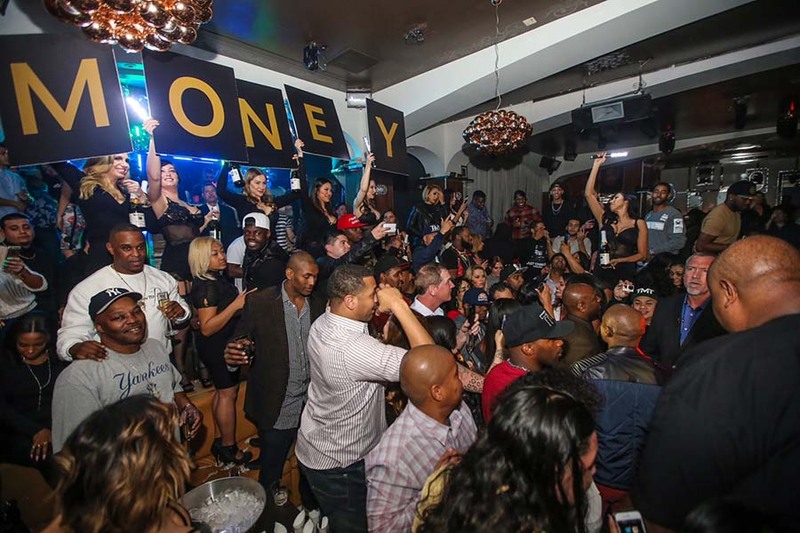 The typical crowd at Hyde is a blend of wealthy Bellagio clientele and all types of Vegas party goers. 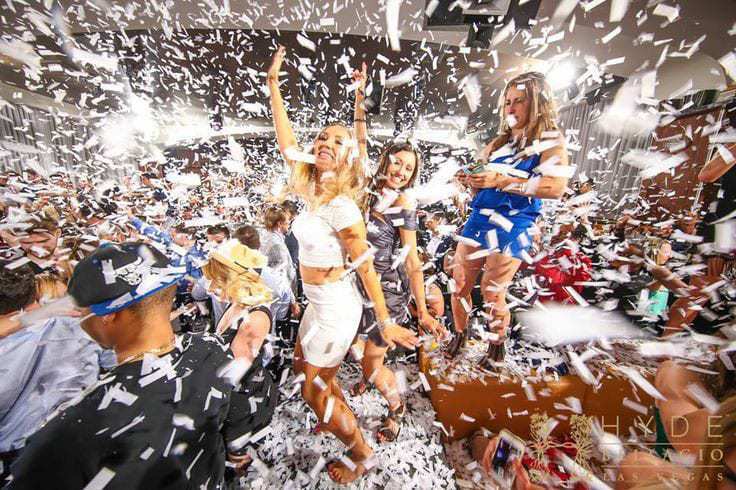 You won’t be overwhelmed with wild fist-pumpers or hordes of twenty one year olds like in other clubs on the strip. If you’re looking for a healthy mix of ages and backgrounds, Hyde Bellagio is your spot. What do drinks cost at Hyde Bellagio? Drink prices are standard Las Vegas fare with mixed drinks starting at ~$15, shots ~$9, and beers ~$8. Hyde features an extensive cocktail and bottle menu featured in our bottle service page above. Hyde Bellagio is the decadent 10,000 square foot masterpiece resting on the Bellagio fountain show, and featuring a balcony over the water. It is a landmark destination for Vegas party people as well as diehard fans of the LA based brand. The venue also offers a classy and chic alternative to the Las Vegas mega-clubs that opened in 2015 and 2016. 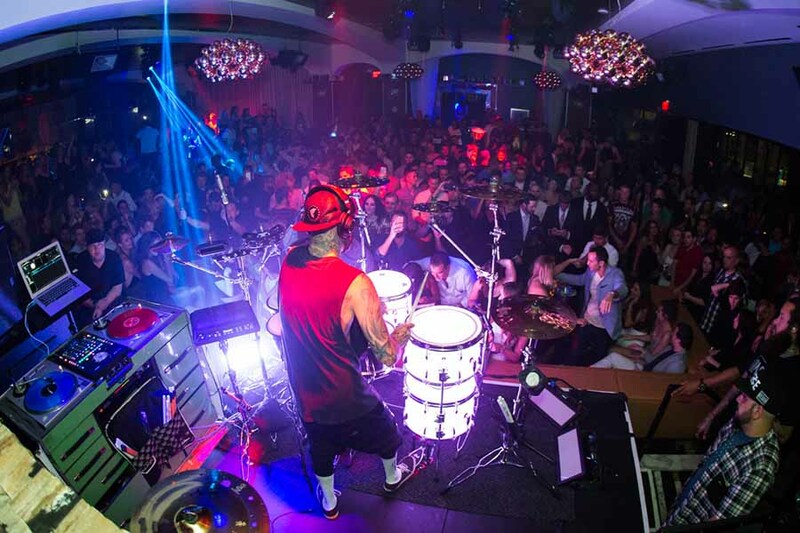 The club opened in January of 2013 and has since been a hotspot for tourists and celebrities alike. Tracing its roots back to Paris Hilton’s appearances at the LA branch, Hyde Vegas has seen the likes of Brody Jenner, Bradley Cooper, Mario Lopez, Joe Jonas, and even Bruno Mars. Sometimes they’re called in to host the party, and other times these celebs come in to rage with their entourage. Hyde Bellagio is the flagship Las Vegas property of parent company SBE. The company also owns a fleet of nightclubs, hotels, and restaurants in Los Angeles and Miami. Shortly after opening Hyde, the company added the SLS Las Vegas hotel and Foxtail nightclub to its Las Vegas armada. Hyde Bellagio offers a guest list for those partying on a budget, as well as premium bottle service options for those looking to “ball out.” The elegant decor and prime location on the water attracts the wealthiest clients of Bellagio, and offers the perfect spot for partying after some gambling or important business. 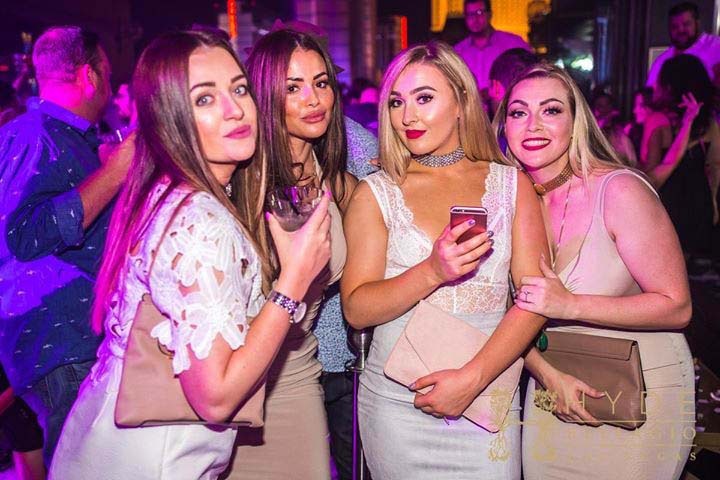 Simply click on the links above to explore each option and get in touch with a promoter or VIP Host that will help you create your perfect night.